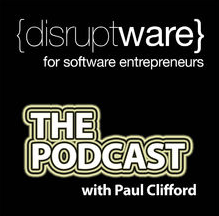 Subscribe to The Disruptware Podcast on iTunes and get instant access to the latest podcasts. Automatic downloads to any device so you can listen at anytime. Step 1: Download and install the Apple iTunes software. (If you don't already have it) Click here to get it now. Click here if using a browser. Then click on the button 'View in iTunes'. 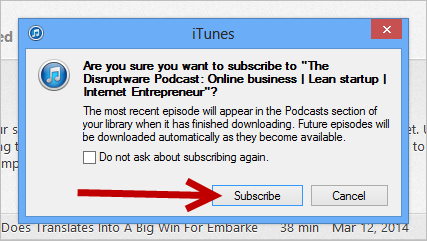 This will prompt you to launch the Apple iTunes software, which will then take you directly to The Disruptware Podcast page. Alternatively, you can access the page from inside of the Apple iTunes software. 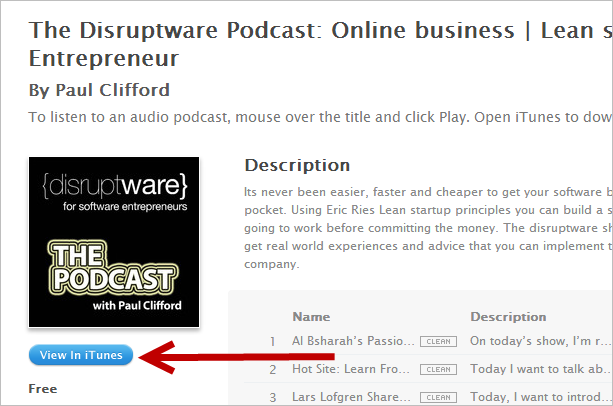 Launch the software and click on the 'Go to the iTunes Store' button. This takes you to the main page of the store. 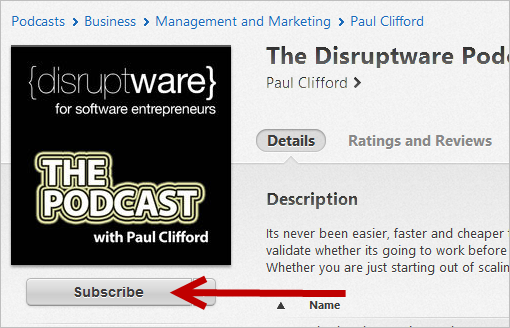 Then simply type in 'The Disruptware Podcast' and click enter. Step 3: Subscribe, give a star rating, and leave a review telling us exactly what you love about The Disruptware Podcast. a. To subscribe click on the 'Subscribe' button. b. Click 'Subscribe' on the popup. c. Click on the 'Ratings and Reviews' button. Give a star rating and leave a review by clicking on the 'Write a Review' button. Tell us what you love about The Disruptware Podcast. Thank you for being a part of the Disruptware community! We appreciate you taking the time to write a review and rate our podcast.